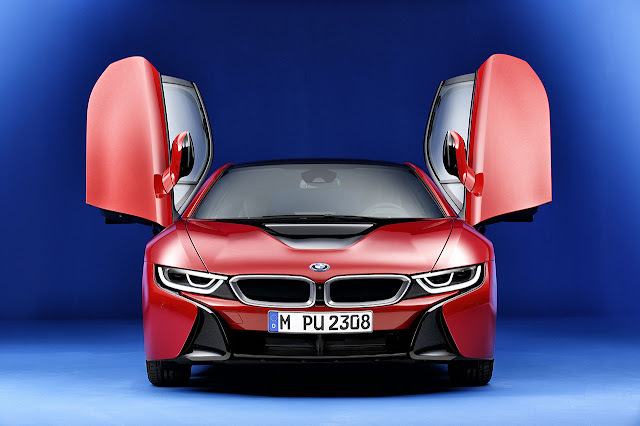 First showcased as the Vision EfficentDynamics concept at the IAA Frankfurt Motor Show in 2009, the production ready BMW i8 has gone from strength to strength with over 5,400 units sold in 2015 alone. 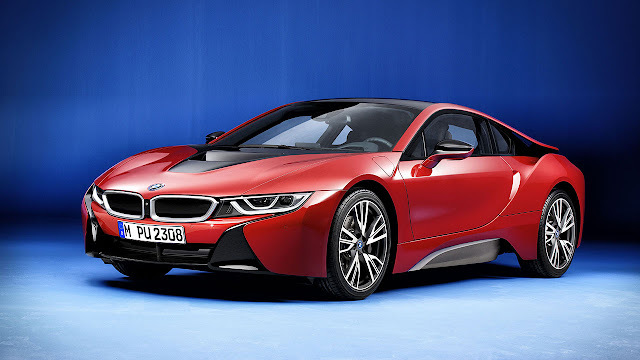 With its clever hybrid drivetrain, the i8 boasts an output of 362hp and can also cover close to 22 miles in electric only mode. It also takes BMW’s EfficientDynamics philosophy to a new high, posting emissions of just 59g/km and a combined consumption figure of 113mpg in the process. The car’s second power source is a 96 kW/131hp hybrid synchronous electric motor which sends its power to the front axle. The motor develops 250Nm torque from a standstill. As well as providing a power boost to assist the petrol engine during acceleration, the electric motor can also power the vehicle by itself with a range in everyday driving of up to 22 miles and a top speed of 75mph on electric power alone, drawing its energy from a lithium-ion battery. The high-voltage battery has a liquid cooling system, offers a maximum usable capacity of five kilowatt hours and can be recharged from a conventional household power socket, at a BMW i Wallbox or at a public charging station.